There are a lot of things in this world which run perfectly, may capture our imagination, or simply just make our lives easier. This may be RA training, driving on a paved road, or even watching the "Main Street Electrical Parade" stroll down Main Street of Disney World! The truth of the matter is that there are a lot of people who contributed to these projects in order for everything to run smoothly. Many of these people are not seen, but work many tiresome hours for the enjoyment of others. 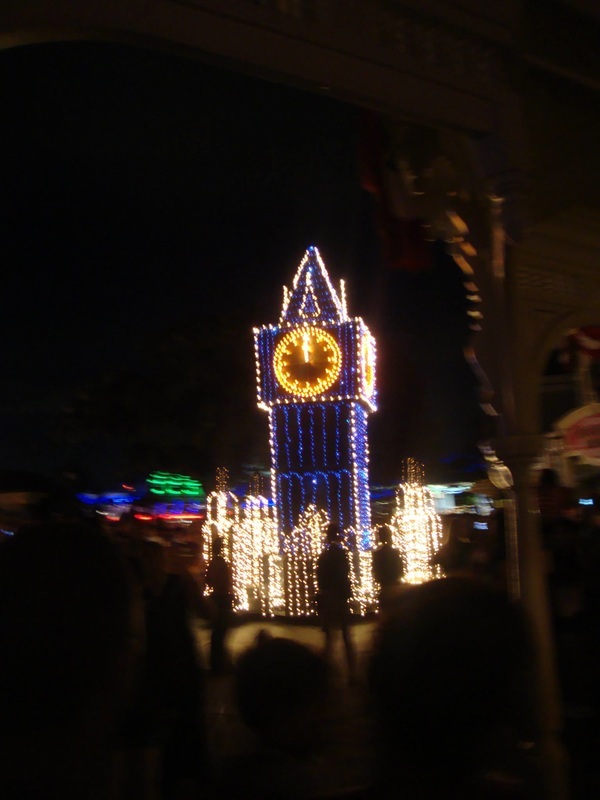 I mention the Electrical parade because many people do not realize there is a person whose main job is to check every light, on each float, every day! This fact astounds me. Since they use Christmas lights which aren't LED, if one light goes out, the whole strand will. Granted, they have woven different stands together just in case a light goes out minutes before the parade, but check out the video below and try to count how many lights this worker will need to check. The number is astonishing! In addition, each float is driven by a worker who is inside the float and may have very limited sight when driving, the workers on the sides of the street help direct them so they stay on course! The truth of the matter is that there are a lot of unsung heroes in the world today. Even as I was driving late last night, construction workers were paving one of the streets around midnight. Many people do not see this hard work, but they will notice the new street which magically appeared overnight! Behind every paved street, every clean building, and every shopping chart neatly placed in rows, there is a hard working employee who most likely does not get as much appreciation as they deserve. Take some time this week to thank the workers "behind the scenes" for all of the work that they do. ​I know during these stressful times, I am especially appreciative of my RD staff who have been working long hours with a res life manual, ra training, and freshmen placement. This post is dedicated to you! Thank you, Torrey, Sloane, Elijah and TD! I couldn't have asked for a better staff! Question time: Which "behind the scenes" workers do you appreciate? A week before the trip to the Magic Kingdom, my dance instructor asked my significant other and me to bring back a picture of Pluto since he was her favorite character. While shopping, we spotted a perfect Pluto shirt and gave it to her. Not only did she really like it, but she wore it during our lesson, kept hugging us (and the shirt) and cried from joy. It was the sweetest scene I have seen in a long time. It did make me think, however, that people would have reacted differently if she were a man. ​A few years back I taught a leadership college course on masculinity and how to be a male in today's society. One of the main topics discussed in the class was learning how to manage emotions and how to break down social constructs. There was a ridiculous unspoken "law" that all of my students agreed on which covered various bases. Some of these included: a men could not cry in front of others, they couldn't order "girly drinks", they shouldn't like Pinterest or sewing, and definitely should not be enjoying dance lessons (to only name a few). At the core of it all, the list of rules they came up with were things which made them feel vulnerable. The truth of the matter is that emotions, fruity drinks, sporting events and most of everything else in this world are not reserved to be enjoyed or felt by only one gender. We are only on this earth for a short amount of time, we shouldn't limit ourselves from doing something just because it wouldn't be masculine or you would feel vulnerable. The world will not come to an end if these emotions were shown. In fact, this world could use some more vulnerability. A lot of our withdrawn behaviors lead us to become isolated from others around us. The walls are built up and when we need help, we won't know where to turn or how to ask for it. Many times these feelings are then turned toward anger or fear which further isolates us from loved ones around us. I knew how Alyssa felt when she received the shirt. 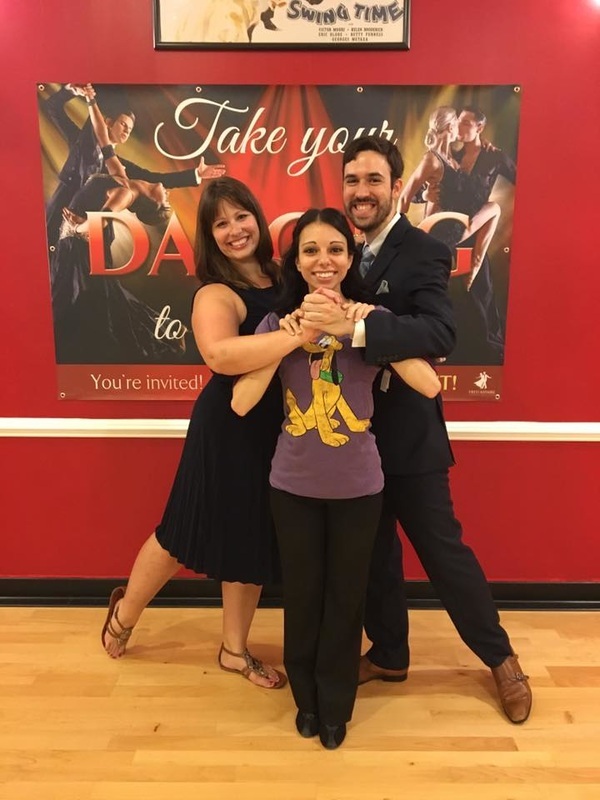 I could feel her joy; it spread contagiously throughout the dance studio. It may be scary, but if we begin to break down the walls of gender stereotypes, the world will be a better place. It will unite us under a unified cause and may even lead to more Pluto shirts hugs, you never know. Question time: When was the last time you cried? One of my happiest memories was when I started my grad program and RD position at Western Carolina University. 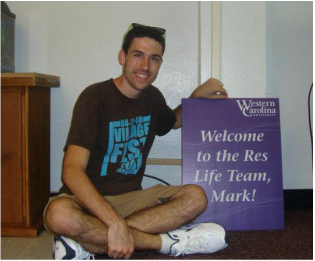 There was a team of a staff to help me move my items in, a fun gift basket with an itinerary waiting for me as well as a large sign which said, "Welcome to the Res Life Team, Mark!" I knew I had found my home for the next two years! In today's market, it's important to find the right fit for you as a person. It might seem a bit "on the nose", but it is important to know what kind of job you are looking for in the first place. What field are you wanting to work? Is it similar to your previous experiences with more challengers, or are you going in a different direction? Is this your dream job, or a stepping stone for a bigger career goal? It is also good to ask what a routine day may look like for this position. If you were under the impression that it was primarily a position in front of people and then you discover it is more administrative based, you may have to reconsider your decisions. Know your strengths, what do you really enjoy about your current job and try to find a job which allows you to continue doing this task or do it more often! One of my peers at Piedmont College always said they could convince a student to attend Piedmont College by simply bringing them onto campus with a tour. When you step into an office or a workplace for the first time, you will usually instantly know if it is the right fit for you. Take the time to visit each area you would be interested in working. A website can share a lot of information, but it will only show you the best aspects. Learn where your office would be located and take in the overall feel. The key to any job search is to do your research. Take the time to look up the backgrounds of potential peers and senior staff. If you know where they have come from, you will know what they hold important and the direction they might take the institution. Make sure it lines up with your interests. In addition, ask around and understand the underlying politics of the business. Just because one individual has the highest job title, does not mean they necessarily have the highest power or pull for larger decisions. I'll say it once and say it again, do you research. It will pay off in the end. You may know what you find important, but it is also good to make sure it matches the background of the business as well. Take a look into their history. Understand why they make the decisions they make. Look into their mission statement or core values, what do they hold important? If you understand their history, it's fairly simple to understand the direction they are headed. Finally, if you are very interested in the position and are considering accepting the job, know what you are about to be accepted into. There is no perfect company, but it can be perfect for you. Talk to different positions in order to understand the full story. Look up reviews online and read as many as you can. If there are a lot of reviews, look at the reviews which give 2 or 3 stars out of 5. You will always have people who really love a company or really hate it. The ones in the middle are more likely to provide honest feedback and balance the good and negative reviews. Western was the perfect area for my position while I was in grad school. I was interested in a res life position where I could also extend my learning through various internships. The mountains in North Carolina have some of the most beautiful landscapes in the nation. 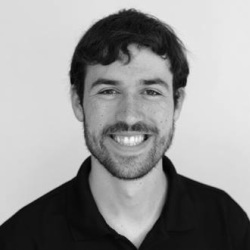 My supervisor at the time had very similar leadership and learning styles as I did, and they were founded on the beliefs of education and also held a set of core values I believed in as well. Finally, Western was not perfect for everyone, but it was perfect for my needs. It was indeed my home and taught me how to look for work positions in the future! If you are in the process of finding a job, I wish you luck on your job search! Question time: What do you research when you are looking at future jobs? 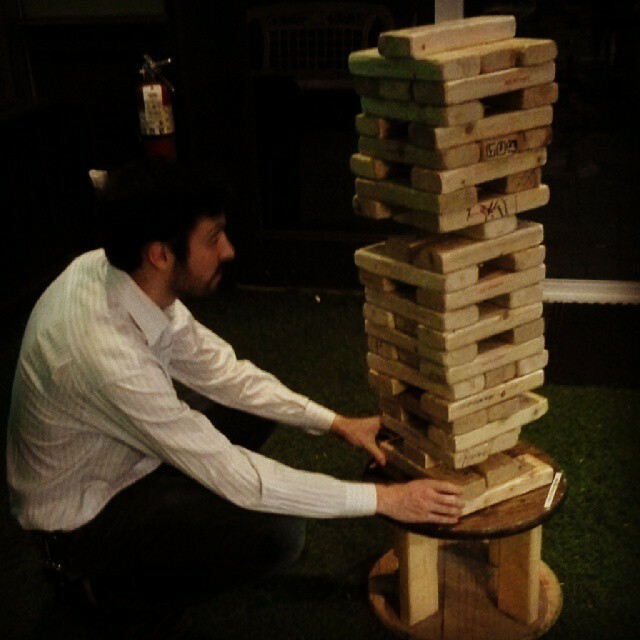 For some, I feel as though your first year at college is like a large game of Jenga. When you were a senior at high school, you were the tallest tower and everything was going your way. Your base was strong, your family brought you up on good morals and good judgement. You are bold, you are strong and you are full of confidence! When entering college, you realize that almost everyone is now the same height of tower and the only way to become the tallest is to build yourself higher so people can look up to you. You are surrounded by people who have built their towers differently, and you begin rearranging your beliefs and values. You find the questionable loose pieces of yourself and remove them in order to figure everything out, but you still hold onto your core values. You take risks and remove some of those foundation tiles to test the limits and see what you are capable of. Your tower starts losing its integrity. Everything in your life may feel slanted and you begin to wonder how you got there in the first place. You may try to be more careful, but as you continue to raise higher, your tower is now stretched too thin and you become lost. Your tower crumbles to the ground and your hopes and dreams may become scattered across the room. There is not a future in sight and you aren't sure what to do next. Luckily, there are people like me and other Student Affairs professionals available to help set you back up. This time, we give you the resources to succeed, we switch out the Jenga blocks and give you Legos to build with. We give you instructional manuals to begin building yourself back up. We secretly hope that you will someday throw the instructions out and build your own masterpeice, one that we would never imagine was possible! Your tower will reach the stars, and it couldn't have been possible without an occasional rebuild from a collapse. The point to my story is that no matter who you are, student, teacher, banker, candlestick maker, etc., there will be someday that you go down the wrong path and make the wrong choice. The fact that we are human, we might even make the same mistake multiple times. Don't let this define you, don't continue building with Jenga blocks. Learn how to pick yourself back up and use new material and learn from your mistakes. There is no such thing as a bad person, just someone who makes mistakes, it is up to you how you put your pieces together. Let's get building. Question time: Who has been someone in your life who has given you the tools to succeed when you had originally fallen?